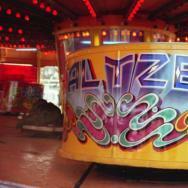 Please use this forum for all your general UK travelling funfair related messages. Whilst every care is taken in publishing this list, we accept no responsibility for its content. Events are occasionally cancelled at short notice. You are strongly advised to check before travelling. Details of rides that have been brought or sold. Details of New UK Travelling rides - with pictures where available. Now includes Rides List Admin posts. Any funfair reports can be posted here (providing you are reporting from personal knowledge!). Non-UK Funfair posts please. Normal forum rules apply!! For all Theme Park / Amusement Park posts. Normal Forum Rules apply! Looking for a funfair photo or video? Please post your request in this forum. Make the subject as accurate as you can. Please post your links to funfair videos ONLY in this forum! You can talk about anything in here. This is a Non fairground chat forum.